When I was asked if I was interested in trying an organic hair color, my first thought was, “how is that even possible?” I’m still unclear on the science behind Tints of Nature, but by golly, it sure does work. After four weeks, the color hasn’t faded one bit. That’s pretty darn good, folks. 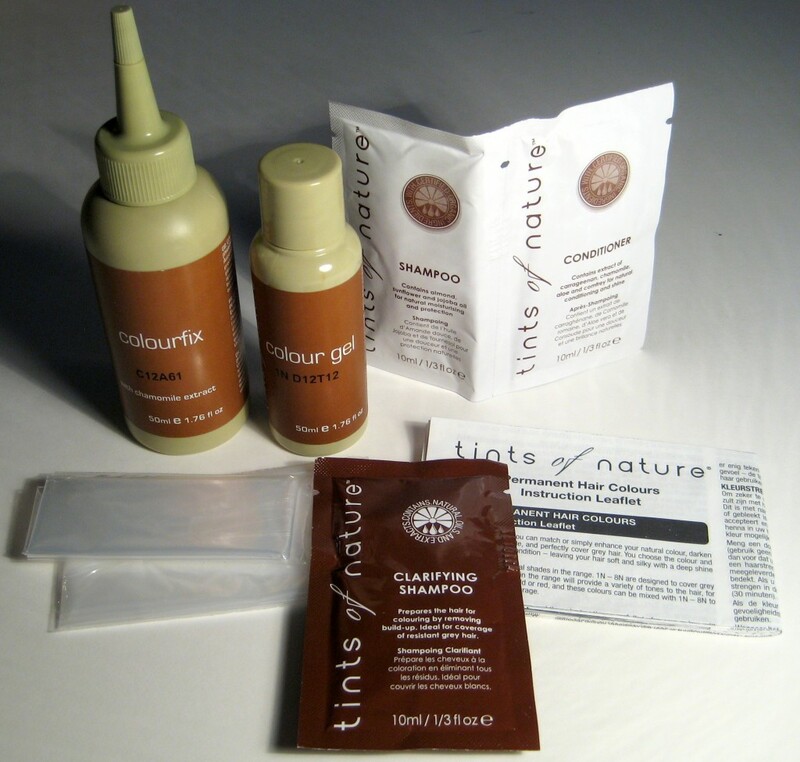 Per the website, Tints of Nature is “the only professional, salon-grade hair products formulated with select natural and certified organic ingredients available for purchase outside of salons.” Free of ammonia, parabens and other chemical ingredients, this product uses a lot of plant-based ingredients with a soy protein base. The Good: The first obvious benefit is that Tints of Nature is made of organic, plant-based ingredients. The box contains color gel, colorfix, clarifying shampoo, shampoo and conditioner and retails for $17.99. And because it’s organic, you don’t have the irritating ammonia smell that’s part and parcel of most at-home hair colors. There are 24 permanent hair colors, 10 of which are “fashion” hair colors. And the best part of this product is how well it covers grays and lasts. If you keep reading, you’ll see my results below. 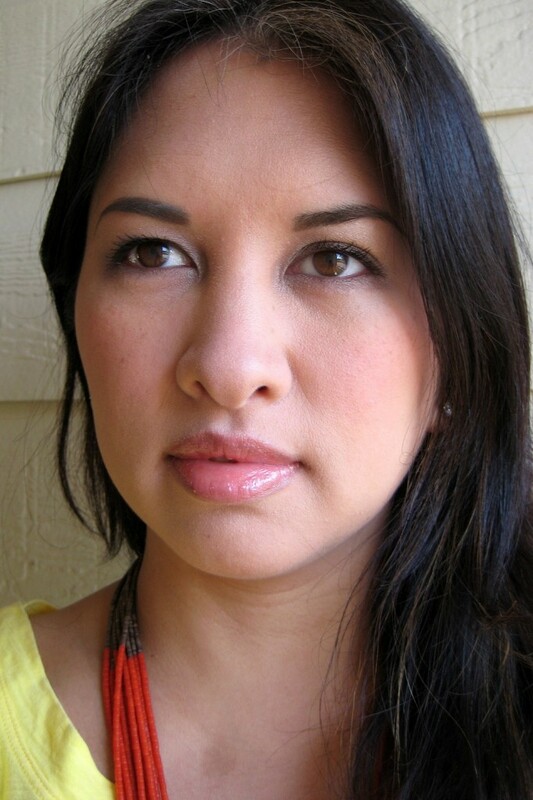 The Bad: My usual at-home color is L’Oreal Feria. This Tints of Nature process took much longer. Per the instructions, you first wash your hair with the enclosed clarifying shampoo. Then you mix and apply the color to your towel-dried hair. Applying the color to wet hair is a little tricky, since it can be difficult to keep track of where you have and haven’t applied color yet. The color takes 30-40 minutes to develop, and then it took some elbow grease to completely rinse out the color. The disposable plastic gloves are awful. You’ve just washed and towel-dried your hair, so chances are that your hands are a little moist. These gloves were near impossible to put on. Putting them back on after letting the color develop was another challenge. Lastly, the resulting color is a little darker than my natural hair color. They were kind enough to send me three shades, but I chose 1N Natural Black to be the closest shade to my natural color. It’s a little more bluish-black than I’m used to, but I’ve grown used to it. The Verdict: While it looks like a lengthy complaint above, I really do like this product. The proof is in the pudding, and I have no color fading after four weeks. And they aren’t fibbing when they claim 100% gray coverage. I don’t get that kind of lasting, gray-covering color out of my usual at-home box hair color. For example, if you look at this photo of me from before coloring, you’ll see how my roots in the front start looking a little brown from fading. Even more impressive is how this coverage was achieved with natural organic ingredients. I’m still amazed by that. Although it takes a little extra work, Tints of Nature is a definite winner! Pick up your box at Whole Foods. At my hairline, you’ll see some white, but that’s from growth. Look at how rich my color still is four weeks after using Tints of Nature. Amazing! I had a very different experience with Tints of Nature. Followed the directions to the letter. Used #4 (supposed to be medium brown, really very dark brown). The mixture is thin and watery , which makes it harder to apply without running/dripping. Three weeks later, my hair is like straw, all the life gone out of it. I will have a very short cut and start over with a different hair color. There are no conditioners, apparently, in TON color. The worse hair dye I have ever used. The “natural ingredients” advert is hype. it strips your hair, leaving it thin and brittle. Revlon Colorsilk and Goldwell Nectaya are much better. Wish I’d listened to the bad reviews. Oh no! I’m so sorry to hear that. My hair is naturally black, so I think the extra color works in my favor to cover up gray roots. 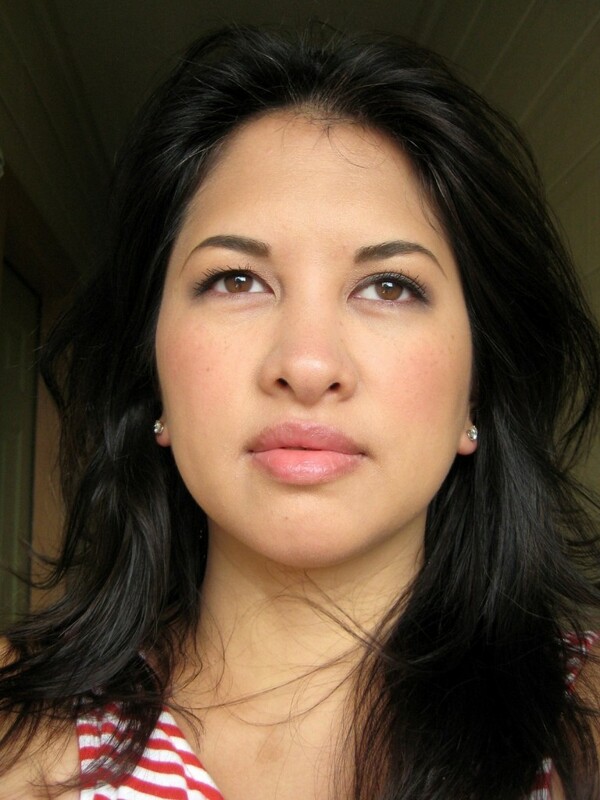 I have pretty resilient, thick hair, too, so I could see how it could be a little potent for a different hair texture. I’m glad you’ve found something that works well for you. Thanks for this review! I recently dyed my hair light brown from natural black and I did not like it, I miss my jet black hair so much. I decided to dye it back black to my natural color and I want something not too damaging, so this review is quite helpful. I’ve thought about dying my hair brown before, so I appreciate your comment. Hope it works well for you. Thanks for reading! Gorgeous color!! So natural and so so pretty. 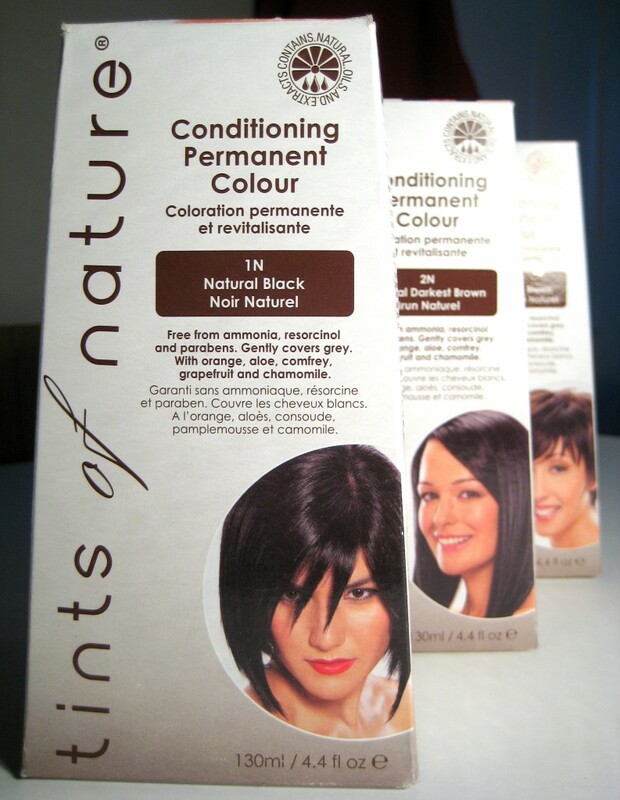 It DOES use PPDs -‘ We use the lowest levels of pigment (PPDs) possible to colour the hair. Our average level of pigment is just 0.42% as opposed to the legal maximum in the EU of 4%. Am trying to find natural hair color dyes but seems all have some chemical or other except pure henna products.. The review is written as if the product is all-organic. It isn’t. It contains the nasty PPD, and the percentage per colour isn’t stated on the packet. I use it due to its convenience. In between I use a hair colouring stick on the roots that show – I try not to have a long parting. This gives me added time between dyes.